The way Reid looked at Marlee on their wedding day made my heart melt. Their wedding at Spence Cabin was planned as an intimate wedding day with close friends and family celebrating in the Smoky Mountains. 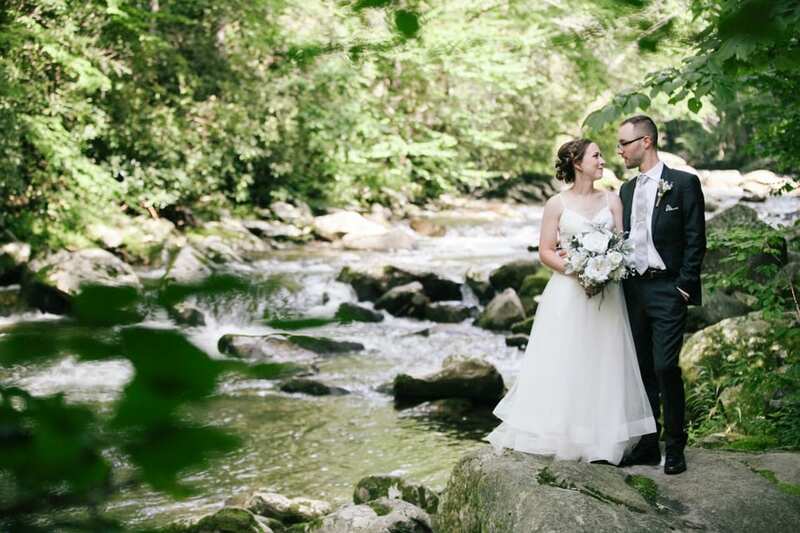 Marlee visited the Smoky Mountains throughout her life and knew it was a perfect place to get married, adding to her memories in this beautiful part of the country. 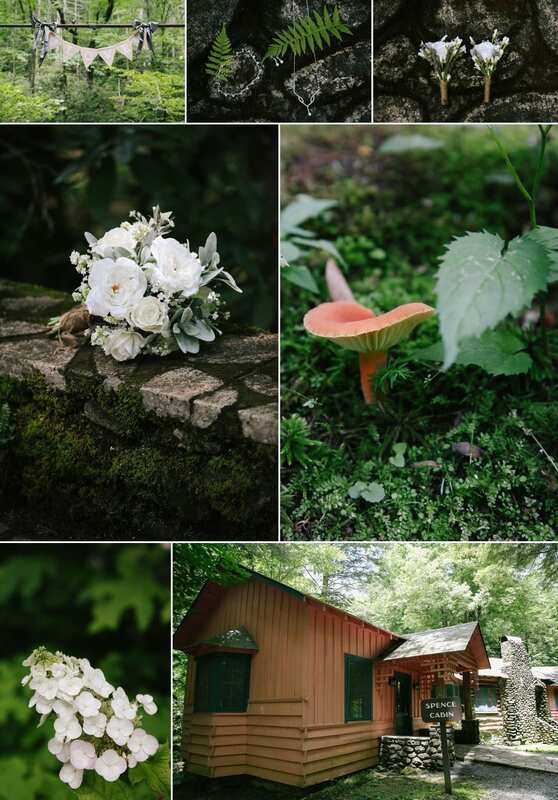 Marlee & Reid and I took some time to explore the area around Spence Cabin and the Appalachian Club for portraits and a peaceful walk in the mountains on their wedding day after a first look. I loved the moments I captured by the Little River when Reid brushed Marlee’s hair from her face and held her in adoration before their outdoor ceremony at Spence Cabin. The Spence Cabin ceremony area is one of the area’s most beautiful. Made with natural stone, it overlooks the Little River with a canopy of trees overhead. This ceremony space in a beautiful natural environment is perfect for up to 40 guests. If couples are interested in this option for a ceremony space, you can access more information here. I have the permit necessary for photographers working in the National Park and can help plan a Smoky Mountain wedding or elopement. There are lots of incredible places for photography and I love location scouting and exploring new places in the Park for my couples. Marlee & Reid were so kind and so much fun to work with. 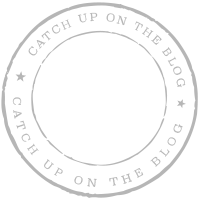 Some of the images of them and the couple with their families are among my most favorite. I loved spending time with them throughout the day, capturing those quiet loving moments and their party afterwards at the Appalachian Club. Thank you so much for having me Marlee & Reid!